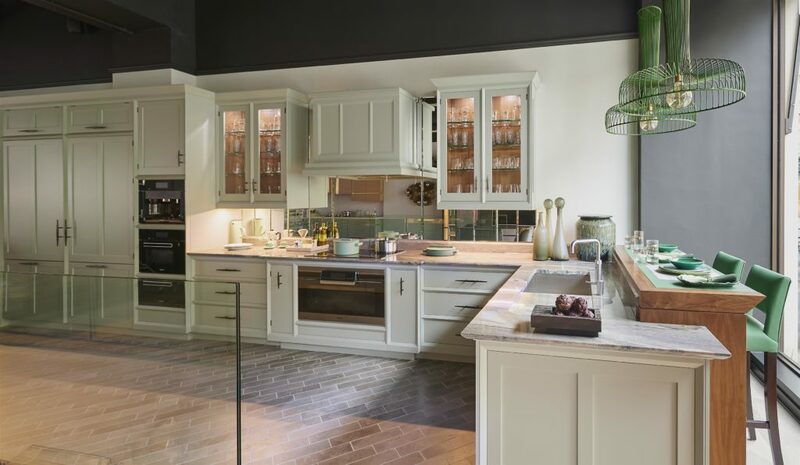 The appliances you choose in your kitchen design and planning are investment pieces for your kitchen, so it is important to spend time doing your research and know the available options. The type of appliance and the brand can have a huge impact on price and can as much as double the cost of the kitchen furniture so be prepared to think about where you want to allocate your budget before you set out. 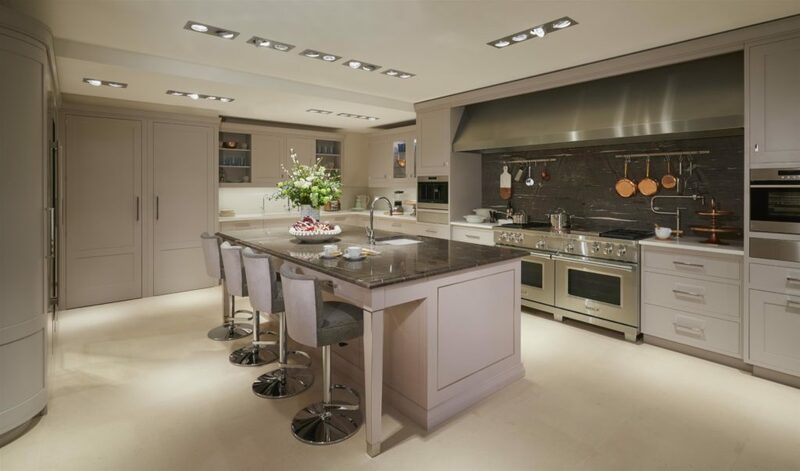 The key pieces to consider in any kitchen are the oven, hob and refrigeration as these will be the most hardworking appliances and will need to live up to the demands of your lifestyle. When it comes to thinking about the oven, start by considering the available space you have. If you are going to go for an under-counter oven, is it worth considering a classic range-style oven or would you prefer an oven with a separate cooktop? If opting out of a traditional all-in-one range, there are a whole host of possibilities: Double ovens, wall ovens, warming drawers and steam ovens can all potentially find a spot in your kitchen. If you are passionate about healthy living, a steam oven is a great alternative to a microwave as it preserves the nutrients in the food, whereas if you are time-conscious then a microwave may be an essential piece of kit. Steam ovens are highly versatile and not only offer healthier cooking, they can also be used for proofing bread and reheating dishes while maintaining the moisture content. If you have the space, you can even add a vacuum sealing drawer and sous-vide the food using your steam oven – a fantastic cooking method which can produce highly impressive recipes for enthusiastic cooks and aspiring chefs alike. Using tall cabinets to house a combination of ovens, microwaves and warming drawers is a great use of space and works well with a symmetrical layout. Having the ovens located at a higher level can also be a blessing on your back! In this project pictured below, we have used both a large range cooker and singles oven, coffee machine and warming drawers on either side – a fantastic combination if you have the space and love to entertain. Once you have considered the type of ovens you would like, think about the type of hob which will work best for you. Gas hobs are still the most popular choices on the market, and the benefits include responsiveness – being able to instantly turn the heat up or down and the ability to use any style of cookware. Induction hobs however are the fastest growing hob choice and they are fast, responsive and controllable. They are easier to clean than a gas hob and spillages will not stick as easily to the hob. They can be appealing to families with young children as they are considered safer due to no naked flame and they can offer a more modern, sleek look of design. However, you will only be able to use induction-friendly pans on them and certain types of cooking requiring an open flame (such as cooking Chapatis) will be limited to cooking with gas. 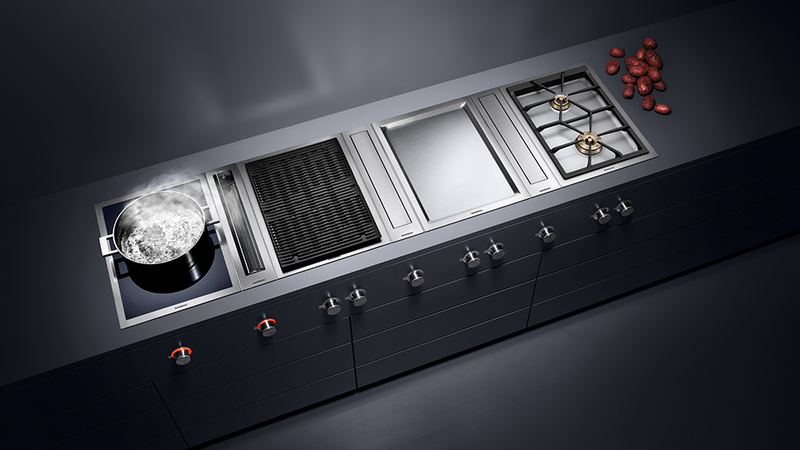 Vario 400 series by Gaggenau is worth checking out if you are looking for a super stylish combination of modular cooktops and ventilation appliances controlled by front mounted, stainless steel knobs. Each cooktop is designed to fit together to form a greater whole and be flush- or surface-mounted within a stainless steel frame. The induction, gas and the more specialised: electric grill, steamer, Teppan Yaki and deep fryer, all combine with table and downdraft ventilation to offer a vast array of configurations. We rarely give much thought to our refrigerators during kitchen design and planning, however when faced with the reality that some can cost a whopping £20,000, it helps to have an idea of what you can buy for your money. Think about the style of refrigerator you might like: American-style stainless steel units or built-in models with integrated doors? Consider the practical elements such as the amount of food storage you need, the amount of floor space you have and any features for the wish list such as built in ice makers. French doors are very popular now, and because the side-by-side doors are half as wide as one door, they’re great for kitchens with tight clearances. Integrated fridge/freezers are great if you want to make more of a feature from the cabinetry and it means you can customise the door style and handle choice. People often get “built-in” and “integrated” confused. The main difference is that a built-in might be flush to the cabinets and look sleek as can be, but it won’t be completely hidden. 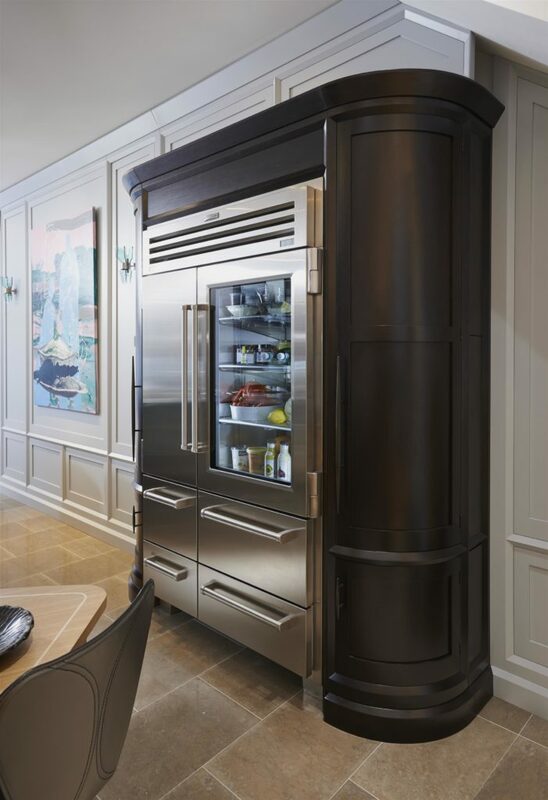 Fully integrated refrigerators can be completely concealed with cabinet-panel fronts. The hinge style, the lack of an exposed frame and a design that allows the door panel to hide the compressor make this all possible. Sub Zero (http://www.subzero-wolf.co.uk/) offer top-of-the-range refrigeration which uses technology developed by NASA and they offer a variety both integrated and freestanding options. 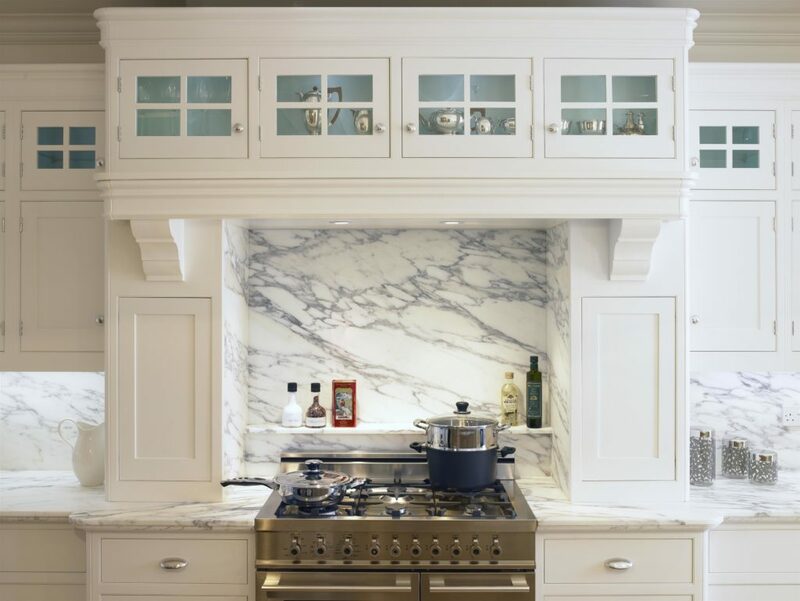 Once you have a rough idea of the type of appliance and budget, your designer will be able to talk you through the best options for your project. Miele, Sub-Zero/Wolf and Gaggenau all offer demo days and this is a fantastic way to help you narrow down the choice of appliance that is right for you during your kitchen design and planning.